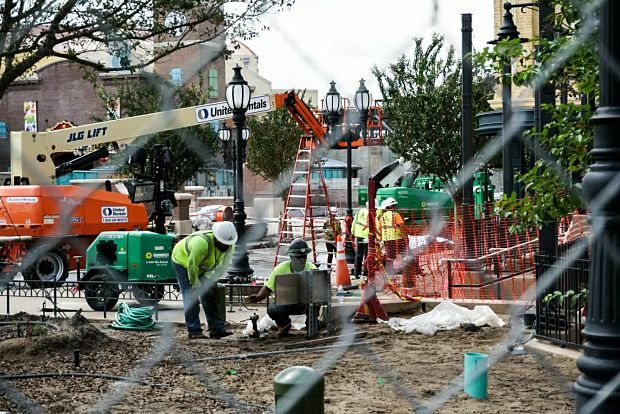 Hurricane Irma increasingly looks like it will have an impact on Central Florida, and the Walt Disney World Resort is preparing for the worst-case scenario. 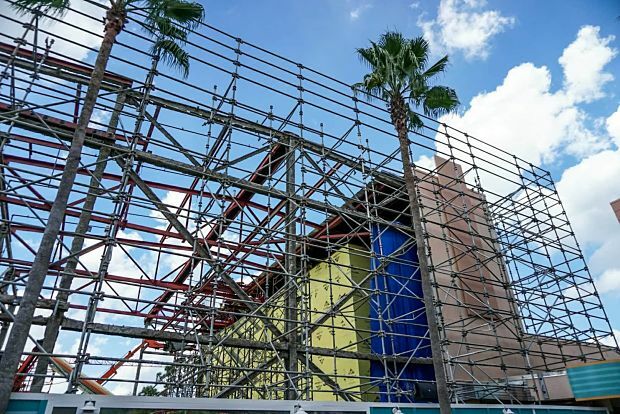 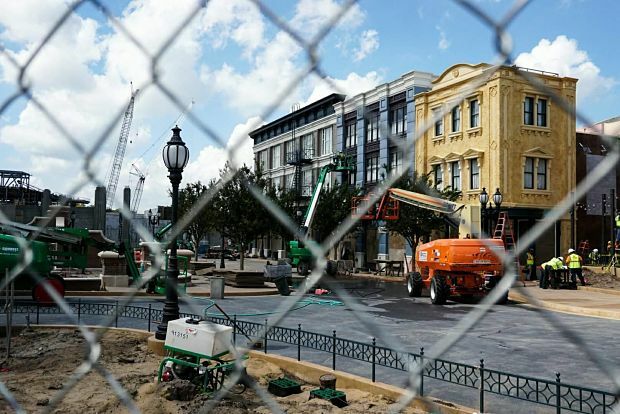 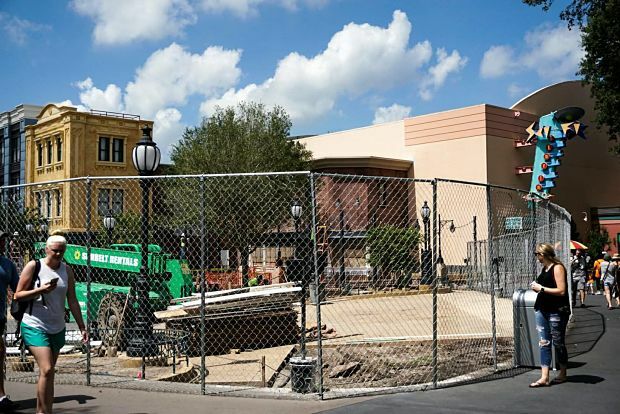 Today at Disney’s Hollywood Studios, construction walls covering Grand Avenue were taken down exposing the construction of the street that will lead up to Star Wars Land. 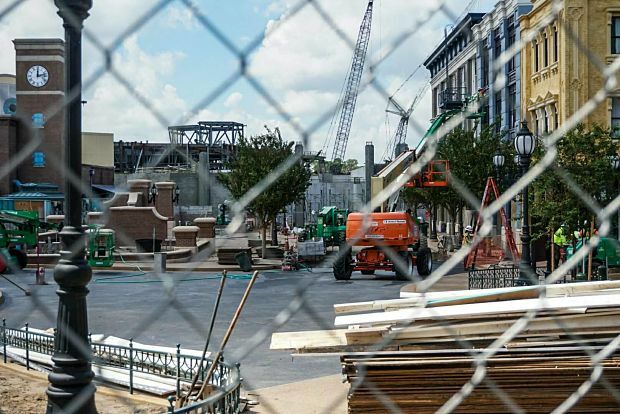 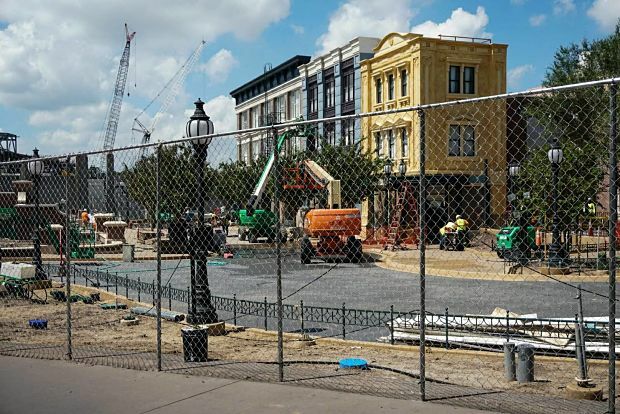 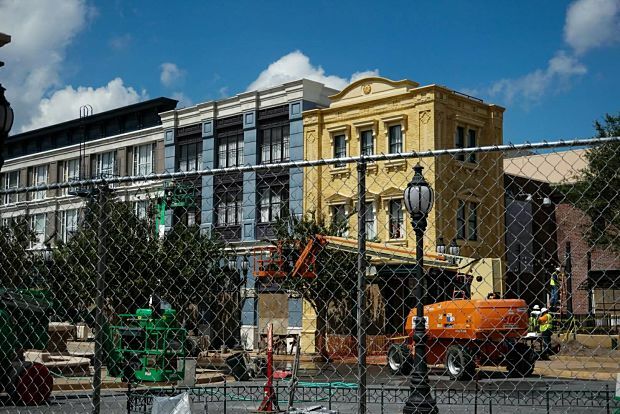 There isn’t a ton of information that can be gathered at this time from these photos, but it does give a general sense of what Grand Avenue will look like. 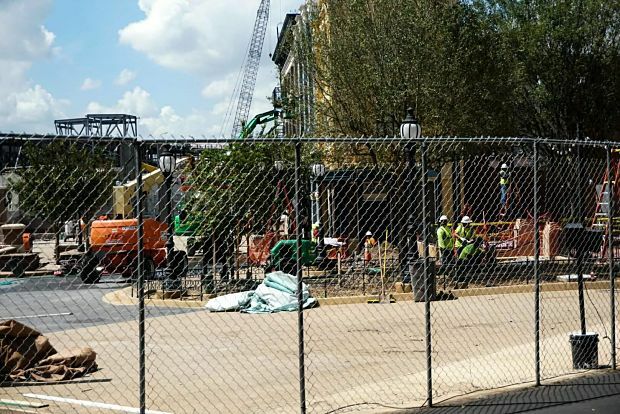 Additionally, tucked away in the corner, there looks to be a reimagined Writer’s Stop, the beloved coffee shop and book/movie store. 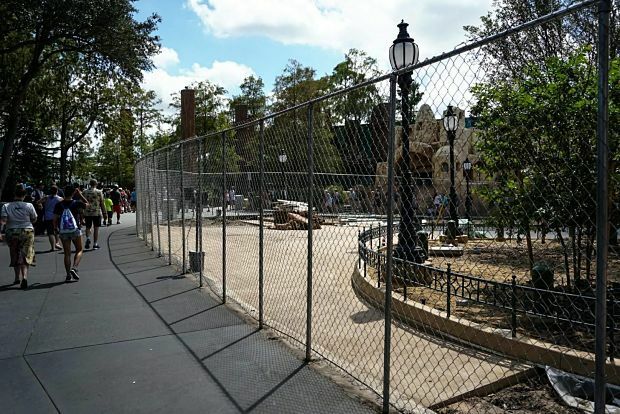 Obviously, it is unknown whether it will re-open as the Writer’s Stop, but let’s hope. 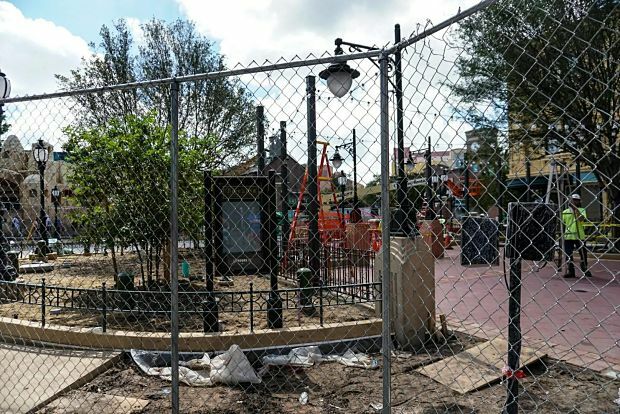 There isn’t a lot to see, but near the entrance of what will be Toy Story Land, near Pixar Place, the scrims are exposed in preparation for the storm as well. 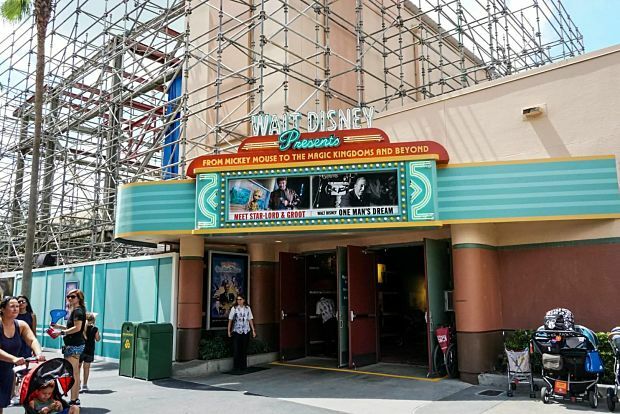 Unrelated to the storm, but also in Disney’s Hollywood Studios, is the new signage for Walt Disney Presents! 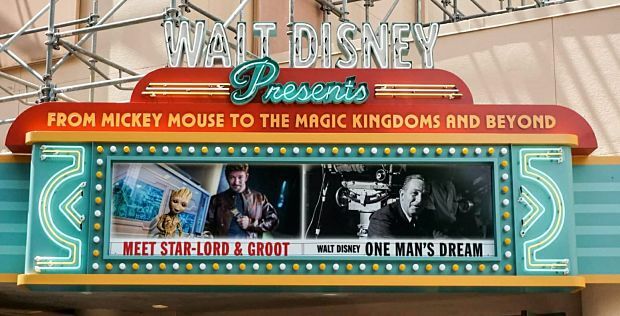 The new signage lacks the large Walt Disney cutout and is replaced by a more retro elegant look. 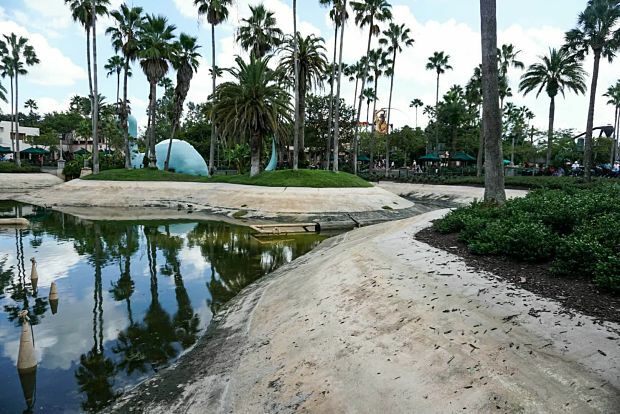 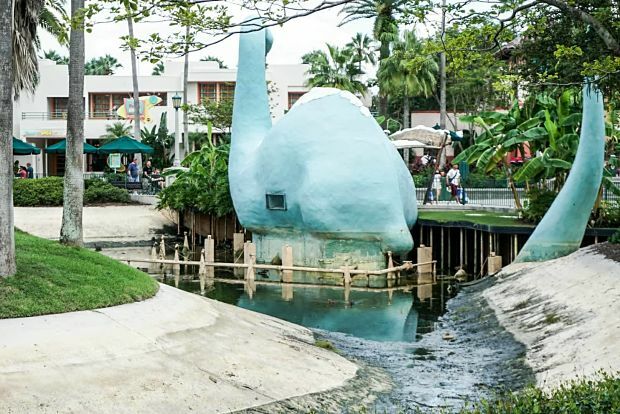 Lastly, Echo Lake has been drained for refurbishment. 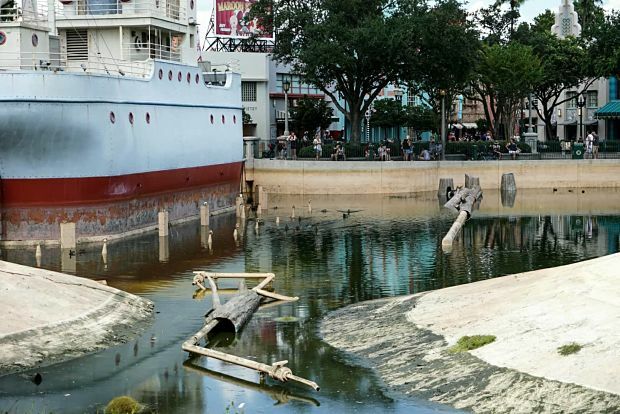 There isn’t a ton to see here, but it is interesting to see the lake emptied out.